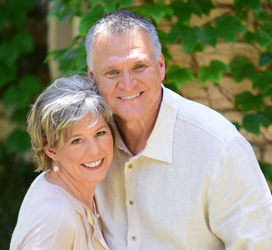 Mary and Vince Kramer are co-creators of Imagine Miracles and ImagineNation Miracles. Imagine Miracles was originally conceived in 2007 by Vince to help people create a life of Happiness, Health and Wealth in the personal growth field. Through personal growth of his own, he realized there was more to life, personal discovery and development than would be offered at the time. He tabled Imagine Miracles to discover himself. At the same time Mary started a small retreat center to bring like-minded people together to share and experience different modalities of spiritual growth. Mary and Vince were blessed to be re-introduced in 2007 by the same mutual friend who had introduced them ten years earlier. When they first met Vince recognized a very strong connection between the two of them and made a decision to keep his distance from Mary. They continued on with their separate lives until they both were divorcing in 2007. This reunion sparked a journey of awakening for both of them as individuals and as a couple. They knew immediately that they had a passion and mission to be leaders in communities bringing forth a new paradigm of thought and life. Like the phoenix, Imagine Miracles was rebirthed with a new vision and mission in 2013. Uniting like-minded people of all perceptions and beliefs worldwide to collectively discover and master universal principles to envision and co-create a new way of life, in which we know that we are all one, we know we affect one another and our planet, and we know that the joy of the growing and evolving world is shared by all. Build and educate a community that is living and talking about taking responsibility for our own beliefs, thoughts and actions; taking responsibility for ourselves first with consideration for others through a holistic approach addressing the emotional, spiritual, physical and mental aspects using education, being living examples, using proven evolving processes, and expressing a universal caring for one another. Our belief is we make our lives happen – and so do you! qualities of the oils and am learning more every day about their frequencies and how that makes us feel better emotionally and physically. I especially enjoy working with many oils at one time like during a Raindrop Therapy session or working with the Emotions collection. I fly Airbus 319s and 320s for United Airlines and along with Mary enjoy Colorado Springs, our pug, Baby Joe and our cat, Fendi. When I’m not flying, I love learning more about the essential oils so I can share them with you. The physical, emotional and spiritual benefits are limitless. Quantum physics tells us we are energy beings, and as such have a vibrational frequency. I’m fascinated with the oils’ abilities to help us raise our frequency to a higher level. As a student of the “Law of Attraction,” I can only imagine the possibilities.